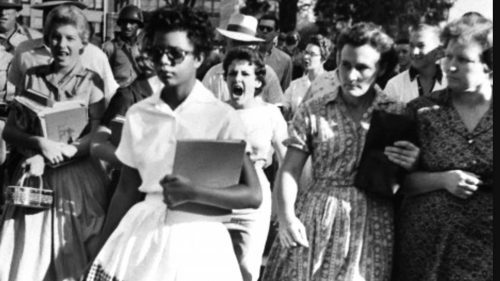 Elizabeth Eckford, age 15, pursued by a mob at Little Rock Central High School on the first day of the school year. Racial violence has terrorized communities of color in the United States for generations. However, thanks to the courage and bravery of a large group of people, including my grandparents, overtly violent, racist acts of terrorism carried out by civilians are less frequent today. That is until this past weekend’s events in Charlottesville, Virginia. The black and white videos many of us watched in public school from a bygone era—of angry mobs of whites attacking their fellow man because of the color of his skin—are replaying in the present-day right before our eyes. 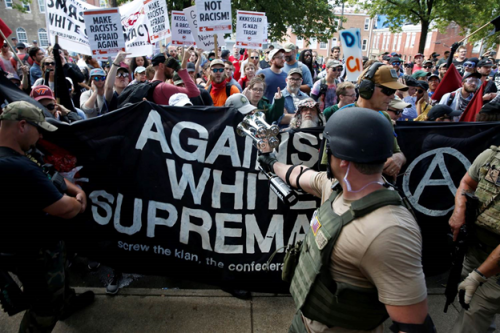 The weekend of August 12th and 13th, many brave and patriotic everyday people understood this and gathered to counter-protest the white supremacist organizations who fell upon the city of Charlottesville. One of the anti-fascist protesters, Heather Heyer, lost her life for it. Dozens of others were badly injured. This is not a time to hold our tongues. This is not a time to be “shocked.” This is not a time to hold a debate with those who brought their hate and violence into the streets in broad daylight for the world to see. This is a time to take action. This is a time to stand with communities of color and proudly reaffirm that we are to be a nation united, not divided. The fight for racial equality, as noted earlier, has been fought for generations. We must not let this fight take any more innocent lives. We must not kick this fight onto the backs of our children. When hatred and bigotry arise, we must stand firm and denounce them immediately in all forms so they cannot take root and grow, as seen in recent years. This is not just a fight for communities of color. This is a fight for the soul of our country. It always has been. Will we fight to be the shining house on the hill for all people, or only those with a certain appearance? Our history is fraught with examples similar, and much worse than Charlottesville, but that doesn’t mean we will accept similar actions and attitudes moving forward. There are more of us than there are of them. 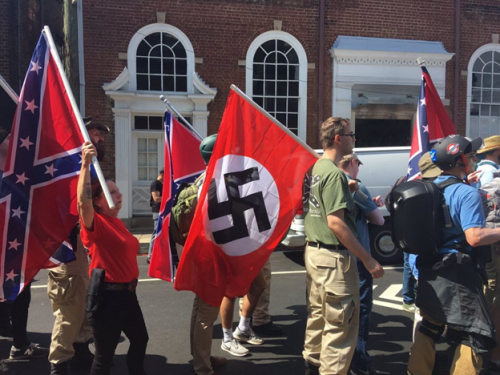 Politicians remind us that white supremacists are on the “losing side” of history. However, they are only on the losing side because somebody has stood up and fought. Today, WE are that somebody. We are the ones that must fight to keep them on the losing side for good. Every day in schools so that teachers acknowledge the limitless potential of the students in their classroom, regardless of the pigmentation in their skin. Every day in our justice system so that we end disproportionate sentencing of people of color compared to whites that committed the same crime. Every day in local planning and zoning meetings that do not ensure that parks are safe and accessible, that grocery stores are in every neighborhood, that housing is safe and promotes wellness, that living wages are available to all workers, and that our children feel safe walking to school. Every day so that people can love and marry without fear. Every day so that children do not fear being torn away from their parents who contribute immensely to our great nation. Every day so that people can identify externally in a way that matches how they feel internally. We must be the change we wish to see in the world. We are role models for our children and they are watching what we do and who we choose to stand for. For the sake of all our children, we need to step up and face this demon called racism and tell those who wish to make it the status quo again that they have no home here. They are unwanted. They will face severe social and legal consequences for their hateful actions. We must do it for the health, safety, and well-being of everyone, especially the children watching us today. If you haven’t already, please find a way to get involved. If you can, volunteer. Plug yourself into your local movement for peace and equality. Even if you can only show up to an event once a month, your presence will add greatly to the influence that group will hold to mobilize change. 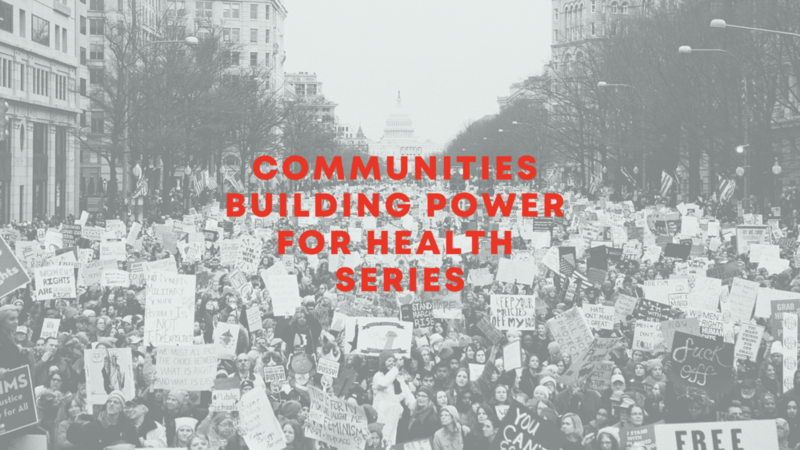 Educate yourself and learn about the best way to support social justice movements effectively. Look for organizations in your area or nationally that are doing fantastic work fighting against bigotry and hatred. Your children, grandchildren, and great-grandchildren will ask where and what you were doing when this historical moment was happening. Have an answer they will be proud of when you respond.